Printable coloring pages of Dinosaurs. The Dinosaurs originated about 230 million years ago. 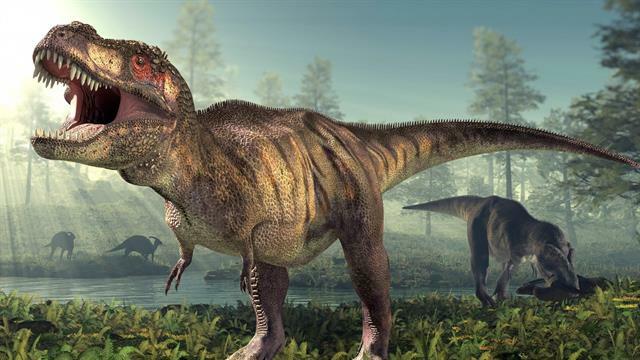 The first dinosaur was a small bipedal carnivore. Then developed rapidly also herbivorous species. During the subsequent period were the dinosaurs 140 million years long the dominant land animals, probably the greatest that ever lived. Thousands of species, carnivores and herbivores, evolved in many forms, including through the moving apart of the continents. The marine reptiles of the time and the pterosaurs, flying reptiles, dinosaurs were not Irish. 65 million years ago killed off most dinosaurs, perhaps following a meteorite impact. Still living dinosaurs are the birds.